Students at Success Academy's Upper West branch. MANHATTAN — Charter school teachers in New York may soon have a far easier road to accreditation than their peers in the city's public schools. Under a plan now open for public comment, charter school teachers will be able to get a license to teach without a master’s degree after finishing a mere 30 hours of instruction and working 100 hours in a classroom. That training is vastly different from teachers at traditional public schools, who need a master’s degree in education, in addition to passing state certification exams and completing supervised student teaching. Charter school leaders say it will help them attract a wider pool of college graduates as they face a teacher shortage. But the state's top education officials as well as the teachers' union slammed the changes as a denigration to the teaching profession. New York State Board of Regents Chancellor Betty Rosa, at a City & State panel discussion Wednesday, said it would create a "two-tiered system." Charters currently are allowed to have up to 15 uncertified teachers — who are at least working toward their master's. The rest must be certified just like teachers in traditional public schools. The State University of New York Charter School's Institute published the new regulations last month in the State Register to allow charters to create their own certification programs, and SUNY's charter committee is expected to vote on the proposal after a public comment period closes in early September. If approved, it would take effect in Fall 2019 and only apply to those teaching in SUNY-authorized charter schools. New York State Education Commissioner MaryEllen Elia, who was on the panel Wednesday with Rosa, asked the audience to picture a teacher with just 30 hours of training standing in front of a classroom of 30 seventh graders. The changes would amount to roughly five days of learning how to teach, and it is a little more than two weeks of classroom practice, pointed out United Federation of Teachers president Michael Mulgrew, who blasted the proposed regulations as a “threat to students and the teaching profession” in an opinion piece penned for City & State on Tuesday. The proposal would allow a lot less instruction than professionals in other fields, Mulgrew noted. Cosmetologists, for instance, receive 1,000 hours of specialized instruction. Real estate brokers get 120 hours of instruction and two years of experience in the field. He criticized charters for "pushing a watered-down ‘instant’ license that would be worthless at any traditional public school anywhere in the state," and claimed these schools didn't want to invest in their teaching force. “Charters rely on huge numbers of inexperienced, unlicensed novices who don't stay in their jobs long enough to become fully licensed," he said. He cited state figures showing that 40 percent of teachers who worked at charters in 2014 had left those schools in 2015, with networks authorized by SUNY like Success Academy, KIPP and Uncommon school having the toughest time retaining teachers. In traditional public schools, on the other hand, the equivalent rate was 14 percent — which was also too high, Mulgrew said. Charter teachers, who tend not to be unionized, often complain about working 11-hour days, with less vacation than teachers in traditional public schools, and about having to teach from a script. Starting salary for an associate teacher at Success Academy averages $47,508 a year, according to Glassdoor, a crowd-sourced salary site. The starting salary for a teacher working toward a master's degree in a traditional public school is $54,000, under the city schools' union contract. The charter sector seized the opportunity to change the rules after the legislature last summer granted SUNY’s board more say in how to regulate the charters it authorizes. That deal was done in exchange for giving Mayor Bill de Blasio a one-year extension of mayoral control in 2016, according to reports. 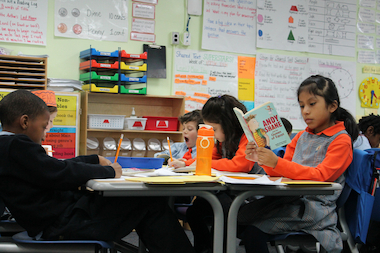 James Merriman, CEO of the New York City Charter School Center, countered that the teachers union response was “reflexively negative” to the proposal that he believes will allow charters to innovate a model for all public schools. Success Academy’s Eva Moskowitz had been lobbying for years to change existing certification rules, according to Politico. Success Academy spokeswoman Nicole Sizemore pointed out, however, that teachers in her network receive more training than what's allowed under the proposal on the table.